Oracle Cloud SaaS applications are an enabler to accelerate success by helping businesses manage back office processes, eliminate inefficiencies, drive down costs, and improve their bottom line. 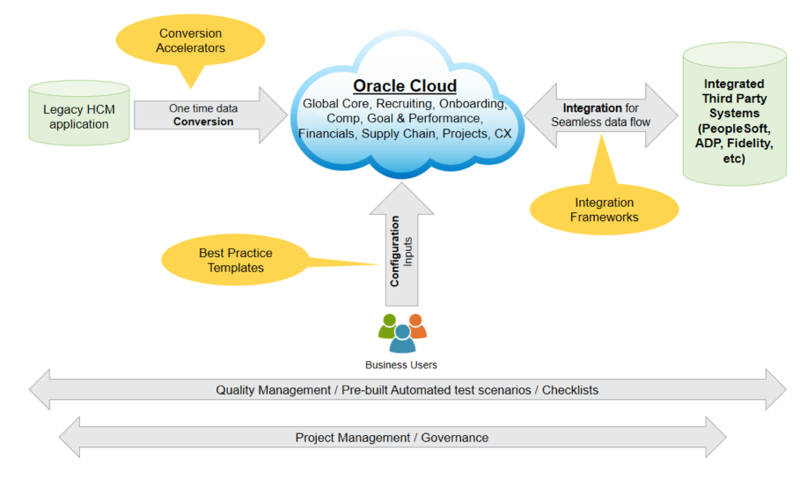 With Oracle Cloud implementation and related applications, businesses can transform their functions and processes and achieve their long-term business goals. Oracle SaaS encompasses the end to end suit of HCM, ERP (Financials, Supply Chain, Projects), CX (Sales, Marketing, Service). Ardent ERP has adapted a flavor of Oracle’s Unified methodology for its customer implementation projects specifically written to assist our consultants in their continuous effort to provide world-class, value-added service to its global clients. Identify business requirements and opportunities for streamlining and optimizing business processes. Our areas of SaaS expertise include Cloud HCM, ERP (Financials, Supply Chain, Projects), CX (Sales, Marketing, Service).